It was the 35-year-old Federer’s first major title since Wimbledon in 2012, his first in Australia since 2010, and it reversed the status quo against his nemesis, Nadal. 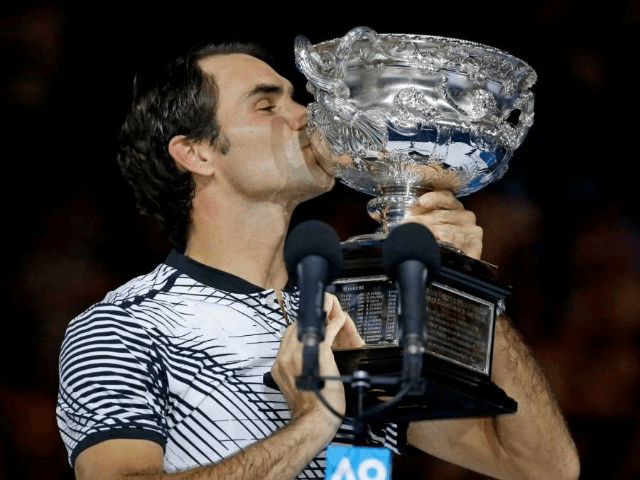 “I wasn’t sure I was going to make it here but here I am — we made it,” Federer said after accepting the trophy from Australian great Rod Laver, who lends his name to the main stadium at Melbourne Park. “I would have been happy to lose too, to be honest. The comeback was perfect as it was. Federer had lost six of the previous eight Grand Slam finals he’d played against Nadal, and was 11-23 in their career meetings. It capped a remarkable weekend for 30-somethings — all four singles finalists were 30 or older — after Serena Williams beat her sister Venus Williams in the women’s final to capture her Open-era record 23rd Grand Slam title.